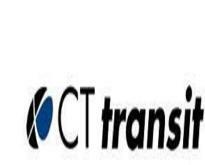 Connecticut Transit (CTTRANSIT) is the Connecticut Department of Transportation (ConnDOT)-owned bus service. Several companies under contract to ConnDOT operate services in metropolitan areas throughout Connecticut. Many routes operate 7 days a week, serving 26 towns in the Capital Region. Express service operates weekdays only.